Two SSTM Projects Named "2018 National Excellent Popular Science Works"
Two projects of the Shanghai Science and Technology Museum were honored as the “2018 Top 50 National Excellent Popular Science Works” by the Ministry of Science and Technology on December 17, 2018. The 30-volume book series named “the House of Nature” is compiled by Gu Jieyan and Xu Lei from the Exhibition and Education Service Office of the SSTM. The series, targeting children and youth aged between 6 and 15, selects teaching resources from the nature discovery lessons of the SSTM Exploration Center. 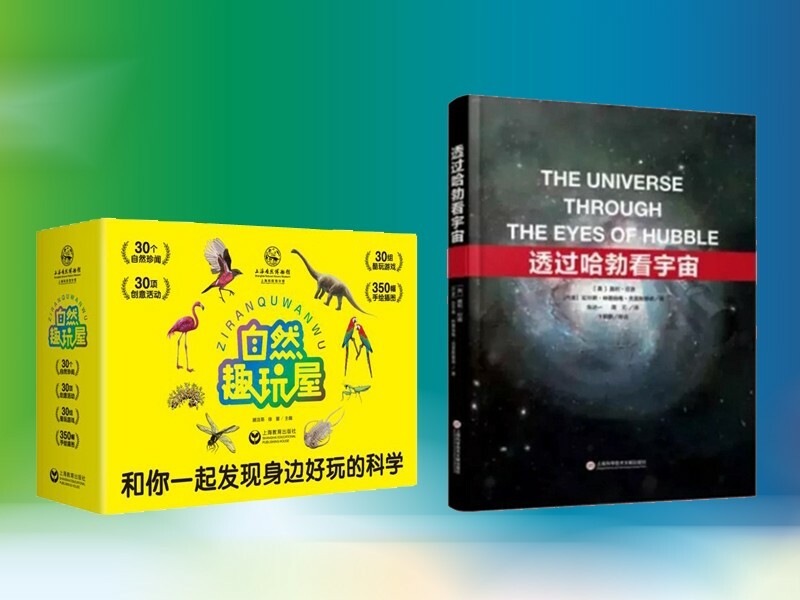 The Chinese version of Oli Usher’s “the Universe Through the Eyes of Hubble,” translated by Zhu Dayi and Zhou Yuan from the construction headquarters of the planetarium of the SSTM, showcases important scientific discoveries through the Hubble Space Telescope and the development history of the telescope.